A chubby-cheeked snow-child offers up his armload of holiday cheer; he's come calling with a special present, wrapped especially for you! 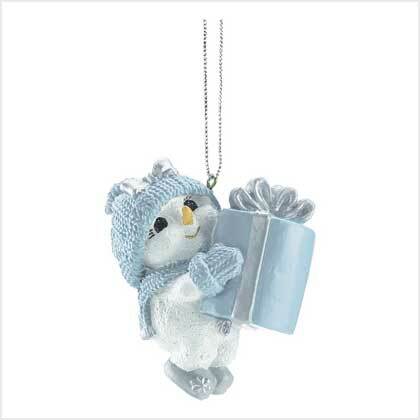 Adorable ornament adds a sentimental touch to your holiday tree. Resin. 3" x 1 3/4" x 3" high.